Below you will find the expected dance attire for each class offering. For all classes, students may not participate if they are wearing street clothes, including jeans, pajamas, or baggy shirts. This is for their own safety. Leotard with skirt, tights, and ballet shoes. (Tights may not be worn alone without shoes because they are too slippery. )Light pink tights and shoes are recommended, while leotard color is a personal choice. Leotard with capris, dance shorts, or jazz pants; tank top or t-shirt over leotard (optional); and jazz or ballet shoes. Leotard with capris, dance shorts, or jazz pants; tank top or t-shirt over leotard (optional); and tap shoes. 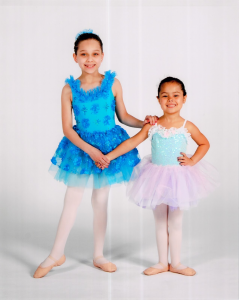 Students who may be taking ballet and tap back to back will not need to change from their ballet clothes to tap clothes. For class descriptions, click here. 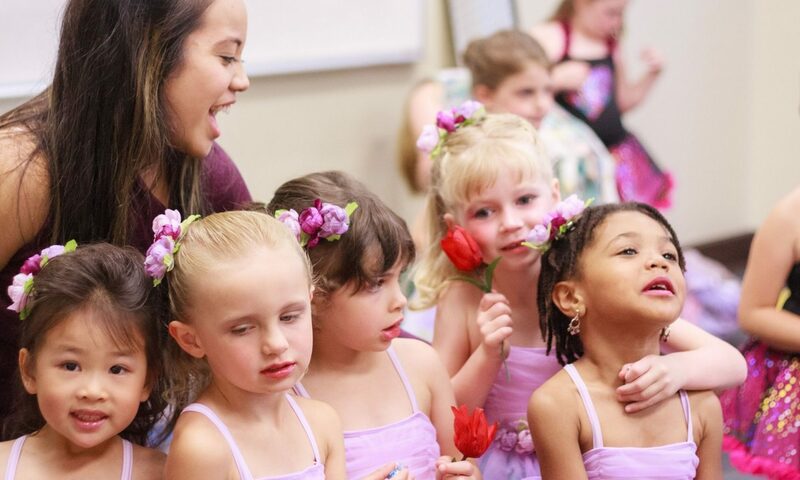 Also be sure to check out our Quick Tips for Your Child’s First Class.